Haven’t we all, at least some of the time–and golf courses frequently beckon us for a solitary, contemplative round. There’s no escaping the fact that playing by oneself is a different experience than when playing with others, whether they are part of your gang of regulars or just some folks that course operators slotted you with in their schedule. For some of us, the pressure of performance is somehow reduced when playing solo, and that helps us play better. For others, playing alone makes it easier to appreciate the surroundings, instead of keeping up with the flow of conversation. Unfortunately, for still others it’s a great chance to cheat, at least when it comes to posting scores for handicap purposes. That last consideration appears to be the primary purpose behind a new change adopted by the United States Golf Association for its Handicap Manual, announced last November and effective Jan. 1, 2016. Scores made under the following conditions are not acceptable for handicap purposes and must not be entered in the player’s scoring record: (vi) When a player plays alone…. To further support the key system premise of peer review, scores made while playing alone will no longer be acceptable for handicap purposes. This change underscores the importance of providing full and accurate information regarding a player’s potential scoring ability, and the ability of other players to form a reasonable basis for supporting or disputing a posted score…. Knowing golfers rely on the integrity of the system to produce an accurate view of playing ability, this change helps golfers form a better basis to support or dispute scores that have been posted to a player’s scoring record. The player must be accompanied for at least seven holes for a nine-hole score or 13 holes for 18-hole score…. For the holes played alone (not accompanied), the player would treat these as not played under the Rules of Golf and post according to “par plus” any handicap strokes the player is entitled to receive. Bill Barrow is the executive director of the Delaware State Golf Association, the official link to the USGA in the state. The DSGA also oversees the statewide handicap posting computer network that Delaware golf clubs provide for their members, including public courses such as Baywood Greens, Bear Trap Dunes, and The Rookery’s North and South courses. Barrow told me most golfers who’ve contacted him are not in favor of the new limitation. He understood the change was part of a global undertaking to adopt a more uniform approach to handicapping, and guessed that this element was among the negotiated items. Tony Hollerback, the head pro at Baywood, thought the new change would not affect golfers at the popular Millsboro course very much. As he put it, most of Baywood’s members play together in leagues, and single-person rounds there are pretty rare. 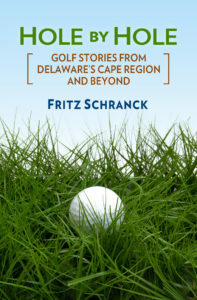 It remains to be seen how the handicap committees for Cape Region clubs and the others in Delaware will react to the USGA’s change. They have a few months to work on it, insofar as official score posting doesn’t start here until April 1. On the other hand, Delaware snowbirds now golfing in Florida are entitled to post their scores, because year-round posting is the norm in southern states. The handicap posting computers at the Cape Region clubs I’ve seen are typically directly accessible to the golfers. There is nothing currently set up that prevents single-player rounds from being posted and used for handicapping, despite the new rule. He’s right. Golf is a game of honor, and competitive results won’t be accepted unless the players believe they are playing against others who also accept that fact. Cheating will happen, however, and rules changes like this one are an attempt to deal with that sad aspect of human nature. On the other hand, playing alone should not be assumed to be an attempt to undermine the integrity of the game.